Today has been a good fabric day...Anson was my little shadow...as in he followed from my sewing machine to the iron while I worked...but he let me work! But since the kids have decided to be Harry Potter characters for Halloween, this has got me thinking of Gryffindor colors. We'll have to see what it turns into. And you all know how much I love black and white prints. 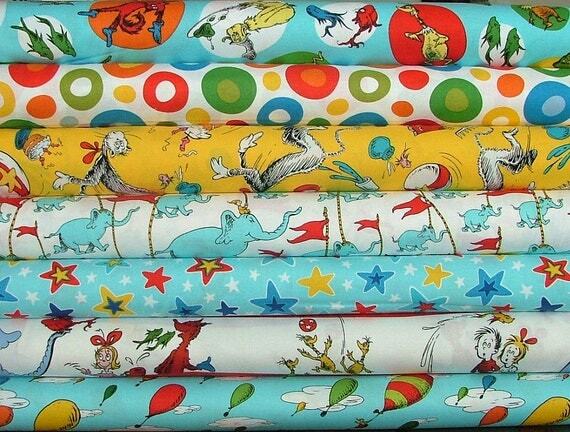 This one just jumped into my cart...and I needed a tad more of the Dr. Seuss spots to finish off the rest of my Dr. Seuss fabric. But before I can start quilts with any of that fabric, I decided I really need to get going on some of my quilts in progress. I currently had 3 quilt tops ready that needed backs. Basting is my least favorite part of the quilt making process, so I decided I want to get ready to have a basting day and get several quilts all basted at once. Here's my purple hexies quilt top to go with it, made using my Hexies by Halves Pattern. 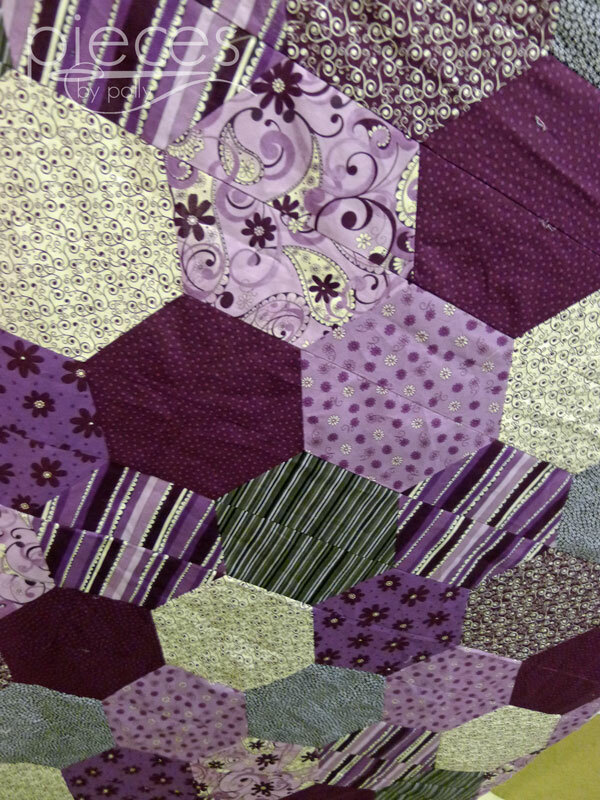 This is my fourth Hexies quilt and they all go together so quickly. I sewed this back for it. I figured with all that white on the front, the back should have more color. 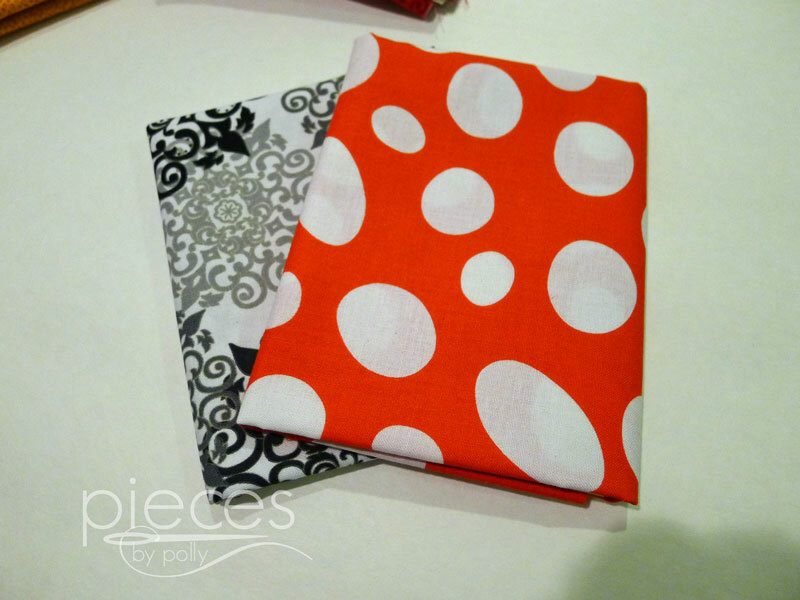 The blue polka dots is more of the fabric that's on the front. The white and green are Kona solids. 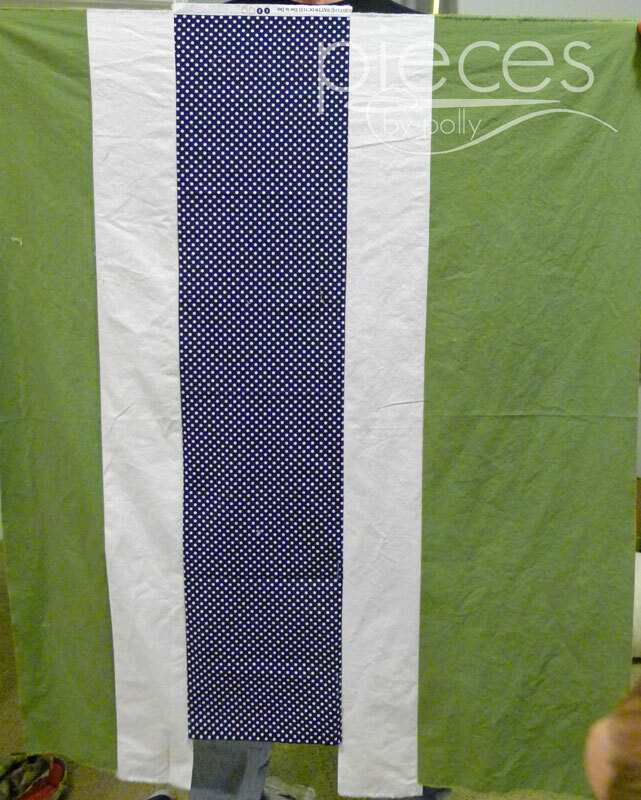 I also have my I-Spy Strips quilt top ready, but that one is just getting a solid back. 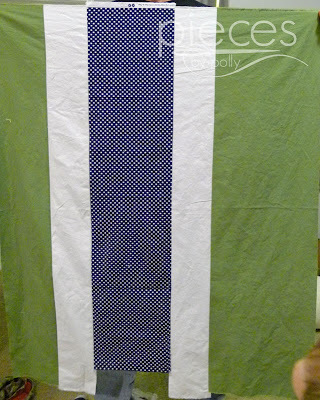 Now I just have one more quilt top to finish up before I can have my basting day. 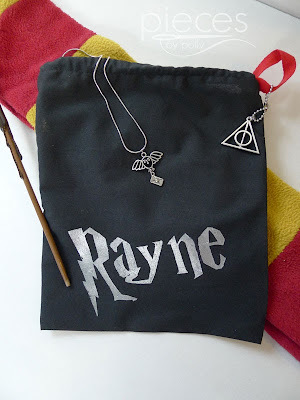 Katie and I also whipped up a quick little gift for her friend who is a fellow Harry Potter fan. 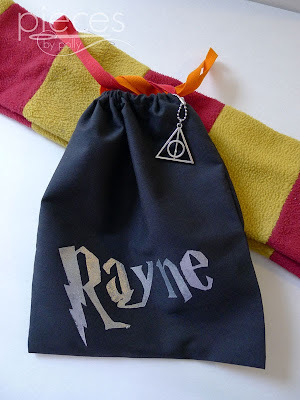 I need to refine the drawstring bag a little and get some better colors (Red and gold instead of red and orange) for the drawstring, but I see these in my kids future as Halloween treat bags...and if there's enough interest, I'll make some for the shop. We slipped a Hedwig necklace inside and included a Deathly Hallows charm on one of the drawstrings. 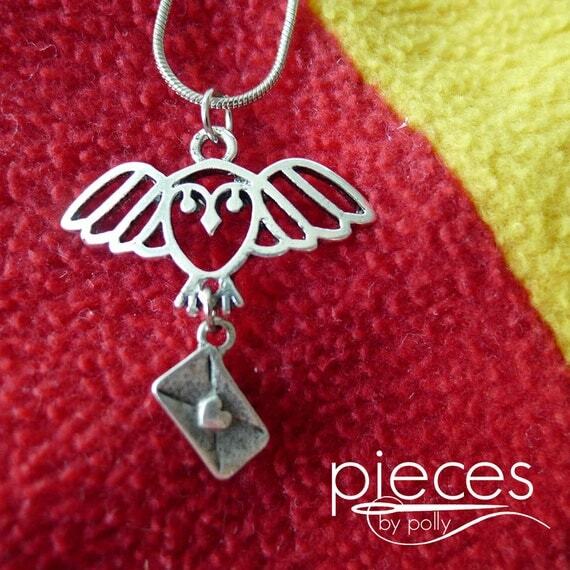 You can find the Hedwig Necklaces for sale in my shop here. 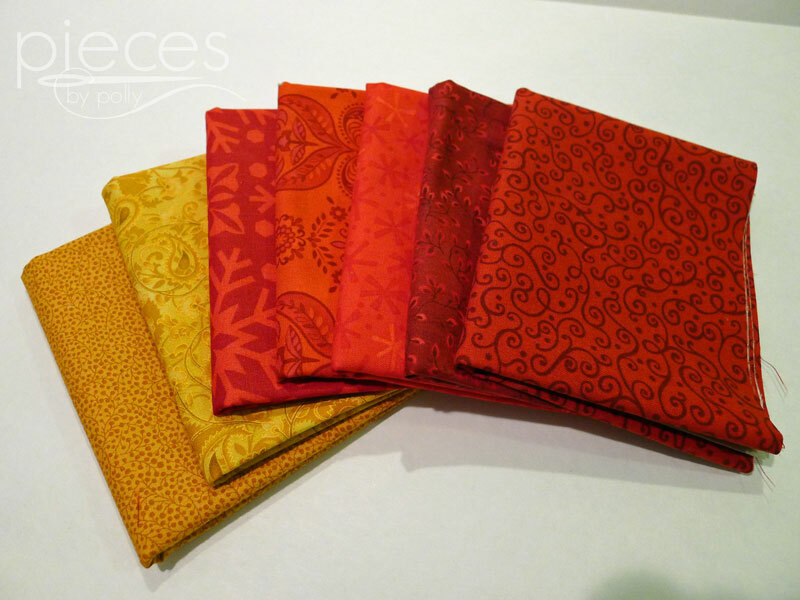 When you did a hexie strip for the backing of the black/gold quilt, you made it so it would line up with the front so the quilting lines would match. Will that be the case for this randomly pieced back for the purple one as well or is it random? 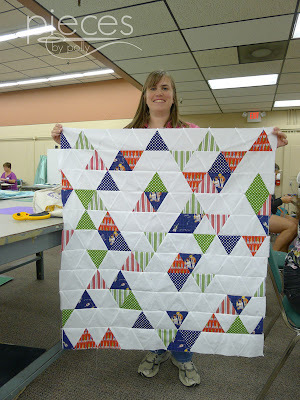 The back for your rocket quilt is perfect for it. 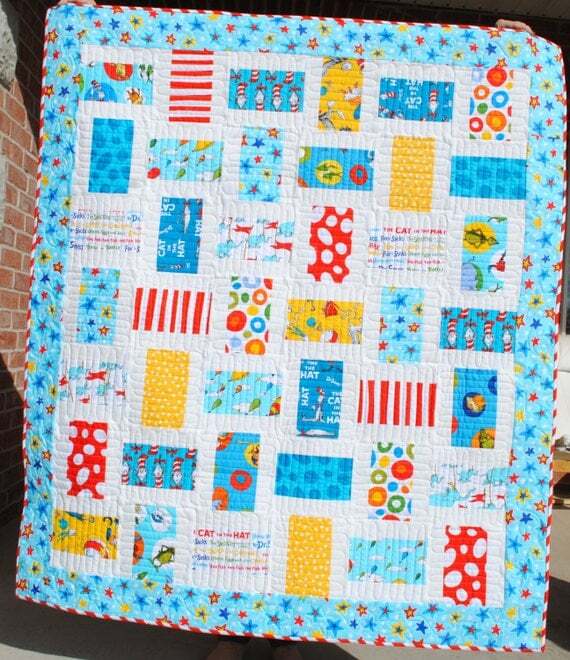 Love that rocket boys quilt! Uses 60 degree triangles, right? 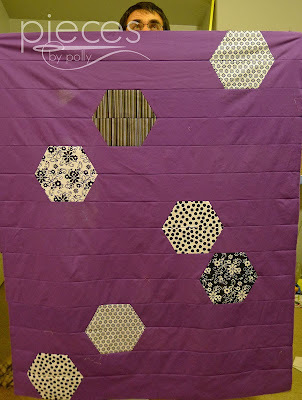 I love the backing you made for the hexi quilt! Nice alternative backing for the hexie quilt! 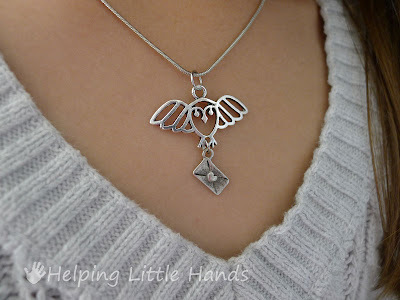 I love the idea of making the back interesting as well. 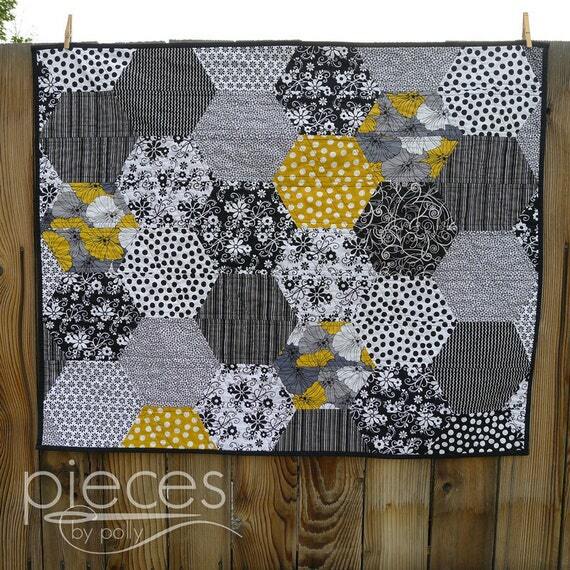 The hexie quilt back is so fun! 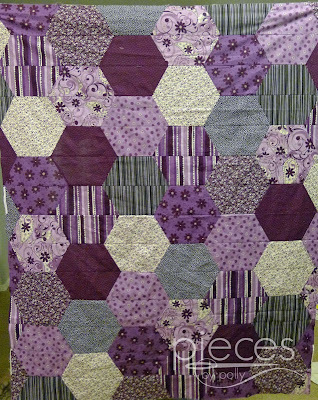 Those quilt backs are great, I especially like the hexies on solid purple, so pretty!